Since outsourcing properly took off in the late 1980’s it has grown considerably. In fact 40-50% of the worlds biggest 500 companies now claim to outsource at least one area of their business. By 2003 the global outsourcing market was worth a staggering £300 billion. Outsourcing has not always enjoyed the best of reputations, however, as it can conjure up images of workers being paid very low wages while the company profits soar but when used correctly outsourcing can be a very useful method of taking a business forward particularly for small businesses and start ups. 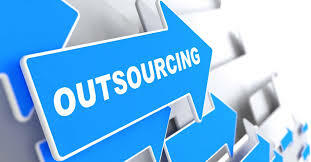 There are many different types of outsourcing that can work in different ways for different businesses. Here are some of the main ways in which parts of a business can be outsourced. Managed services – This is when a whole section of a business or service is outsourced to another company. Usually on a long term basis the other company will manage this entire section with its own staff and equipment. Staff augmentation – This is when outsourced workers, hired for their specific skills or knowledge, integrate within the host workforce. Project outsourcing – Generally on a more short term basis specific tasks or projects are outsourced to an outside company. Can be particularly useful if a business has a short term need for services or skills they do not have in their own workforce. Out-tasking – A more specialised form of outsourcing where certain skills or employees are utilised to fill gaps within a company. Build-Operate-Transfer – The BOT model works by partners being contracted in to set up franchises or subsidiaries. Can often occur overseas to the host company. There are many pro’s and con’s to outsourcing and deciding whether to take advantage of this type of arrangement would depend on individual circumstances. One of the best advantages of outsourcing is its flexibility, allowing you to ramp it up or down depending on your needs giving you very flexible costing too. In uncertain economic times this is one of the main reasons outsourcing is popular. Outsourcing also allows you to set up new products or services quickly. By hiring in a company that specialises in that area you can eliminate the need for costly in house training of your own employees. This is also a benefit that will allow you and your workforce to concentrate more on what you are best at, your core business, while the outsourced company looks after that particular department or service helping to alleviate some of the risk involved at the same time. One of the main reasons that people outsource and probably the greatest benefit of it is the potential for saving money. Contracting outside companies can save significantly on both operational and recruitment costs, allowing you to stay in control of expenditure until a time that you feel your business can cope with things like additional staff or larger rents and rates. Hiring outsourced companies also helps to level the playing field in relation to your larger competition, they may even be hiring the same companies as you! There can always be negatives to any type of business arrangement and things like: work being completed off site giving you less control, the potential for a less motivated workforce or lack of focus and the risk of exposing sensitive or confidential information are all things that need to be taken into consideration when deciding if outsourcing is right for your business. Business owners often decide to take on a new employee because they are so busy trying to keep up with phone calls, emails, and day-to-day business operations. Hiring instead a virtual receptionist to help with answering calls or general administrative tasks can help alleviate that pressure and give you back some of that precious time you need to actually work on the business. If you are interested in this type of product or service check out our fantastic range of plans here. Outsourcing HR services can be one of the best investments you can make for your business. Recruitment agencies can specialise in identifying which roles and positions your business may need, how to structure your staffing, and screening applicants to match the right person to your role. Accounts, bookkeeping and tax returns are where many small business owners or start ups fall down. Without previous experience in this area taking care of this vital part of your business can be very tricky. Even some of the easier to use cloud-based DIY software applications still require significant chunks of time to keep up to date. Outsourcing in these areas could significantly help you with keeping your paperwork and finances in order. This is another area that is often really difficult to manage yourself unless you have previous experience as a marketer. Positioning your company in the marketplace and choosing the right ways to market your business can be very time consuming and also very costly if you don’t know what you’re doing. This is one of the most popular areas that is outsourced these days since the rise of the internet, social media and 24 hour television and news. So if you are starting or trying to grow a business, hiring full-time staff who have the skills and experience you need is not always an option. By outsourcing these roles instead you can hire people temporarily, people who can hit the ground running and provide the knowledge and resources needed to help you to grow and nurture your business towards its full potential while keeping costing and staffing flexible.